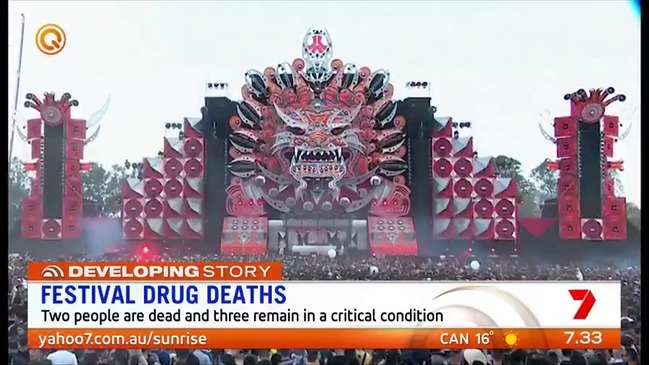 Last weekend two young people died from suspected drug overdose at the Penrith music festival Defqon.1. Two others have been hospitalised. This week, NSW premier Gladys Berejiklian has promised that her government will do everything in its power to shut down Defqon and inhibit drug usage. Her solution? A panel. Health professionals, Police Commissioner Mick Fuller, and the chairman of the Independent Liquor & Gaming Authority, Philip Crawford, will spend the next four weeks making recommendations on inhibiting the use of illegal drugs in our community. Amid calls across the community to include pill testing within the panel’s remit, the Premier is emphasising the need for harsher boundaries, improved safety standards at festivals and improved education. There are tragic consequences when people take drugs but we know that, from the beginning of time, humanity naturally doesn’t choose what is good for us. We are broken. Addicted to choosing what is bad for us, rather than what might help. Whatever the political and social suggestions we consider, we must fall upon Jesus’ grace and mercy when it comes to drugs. Consider the story of Phil, who encountered one of our Anglicare chaplains in jail – where his drug abuse had led him. Former chaplain David Pettett describes what happened. In his late 20s Phil was enjoying life, a good job, a girlfriend and parties. He used recreational drugs and earned a bit of extra money by selling some drugs. That’s what brought him to gaol. The party was over and Phil was wondering what life was really all about. Phil met Jesus and his life turned around. Having initially planned to plead not guilty, Phil changed his plea and owned up to his crime. After 18 months in maximum security on remand Phil finally got a determination that saw him released on a good behaviour bond with time served. Some months before Phil left prison the pastor of a church near where he would be living to came into the gaol and met him. They established a good relationship and when Phil got out he began attending church and mid-week Bible study. What kept Phil going with one major disappointment after another was the mentoring support he got from his pastor and other godly men in his church. There are many stories of men like Phil, or of those who have not yet reached the rock bottom of abuse. We should pray that panels like the one the government set up can save lives. But it is Jesus who changes lives.